For everyone celebrating the Festival of Lights, I want to wish you and your family a Happy Hanukkah. May your season be filled with good health, prosperity, blessings and joyous occasions shared with friends and family. Hanukkah cookies decorated for the holiday. I made these cookies for my Hanukkah Cookie decorating class at Williams Sonoma. Dreidels were iced in shades of blue, white and yellow, and were given the characters for: Nun, Gimel, Hay & Shin. For that beautiful Star of David, I flooded the base in royal blue icing and let it dry. With a fine #1 tip, I piped a snowflake design for a wintry effect. 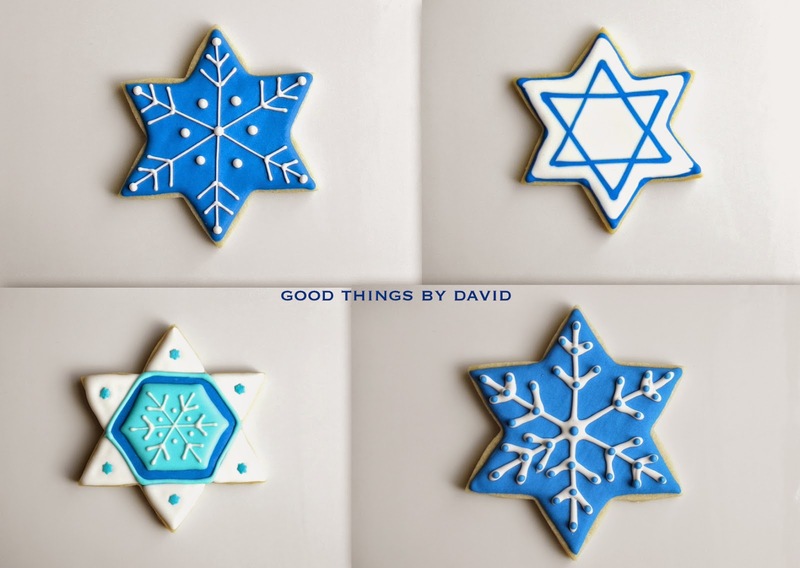 For the top-left, top-right and bottom-left of Star of David Cookies, flood the bases with royal blue-colored royal icing. 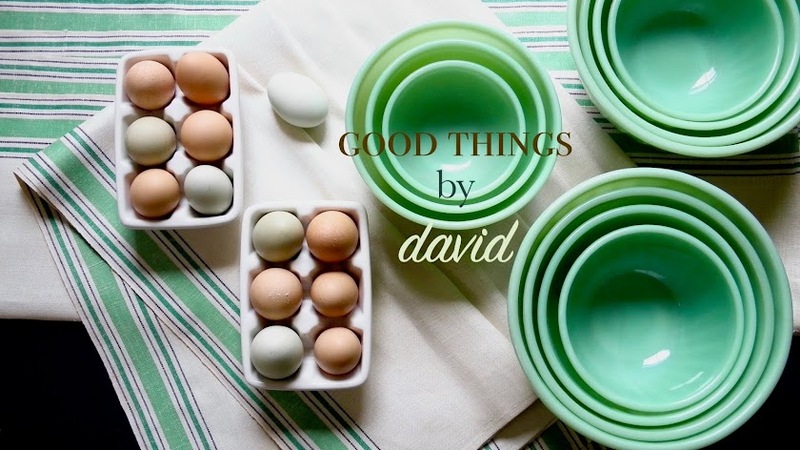 If you're going to pipe a double Star of David (top-left), do it in white while the base is wet. Let the bases dry. For snowflakes, pipe designs using a #1 tip with white icing. Add corresponding dots or pearl candies. The special multi-colored Snowflake (bottom-right) requires a few more steps. Outline and flood the points of the star in white icing and drop Star of David candies in the middle. Flood the middle of the star in royal blue. Let this base dry. Outline and flood, in ice blue royal icing, a hexagon shape in the middle of the cookie, leaving a 1/4" clearance to expose the royal blue. Let dry. Pipe an ice blue bead of icing around the perimeter of the larger hexagon and pipe a white snowflake using a #1 tip on the ice blue 'pillow'. For the royal blue Star of David Cookie (top-right): Pipe a bead of royal blue icing along the border of the star. 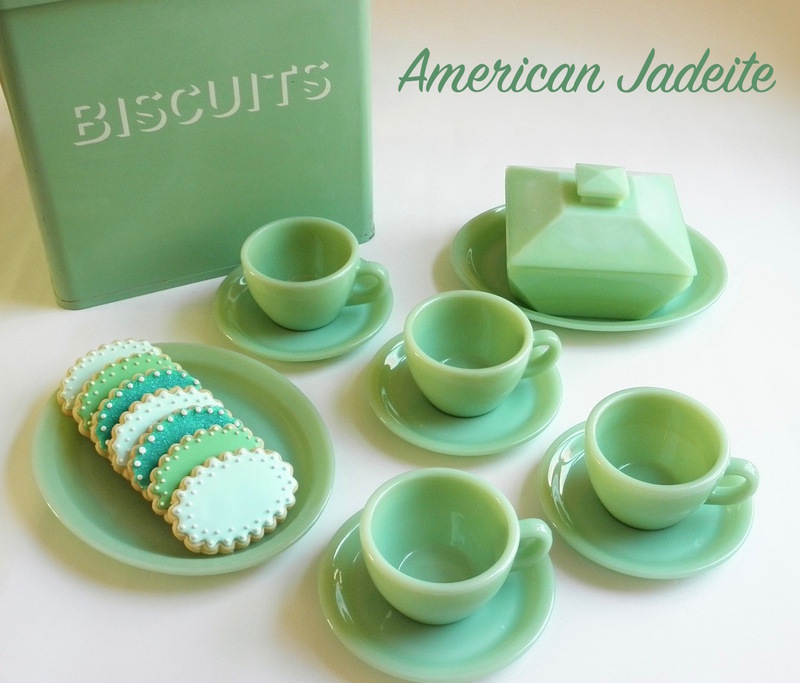 Immediately flood the entire cookie with white royal icing. While the icing is wet, pipe a royal blue Star of David in the middle. Let the icing sink in and dry completely. Dreidel Cookies are easy to make. Flood the bases of your cut out dreidel cookies in aqua, white, royal blue and yellow royal icing. Let these dry. Trace the outline of the shape in a corresponding color and pipe the dreidel letter. Simple! These cookies are my favorite from this entire batch. 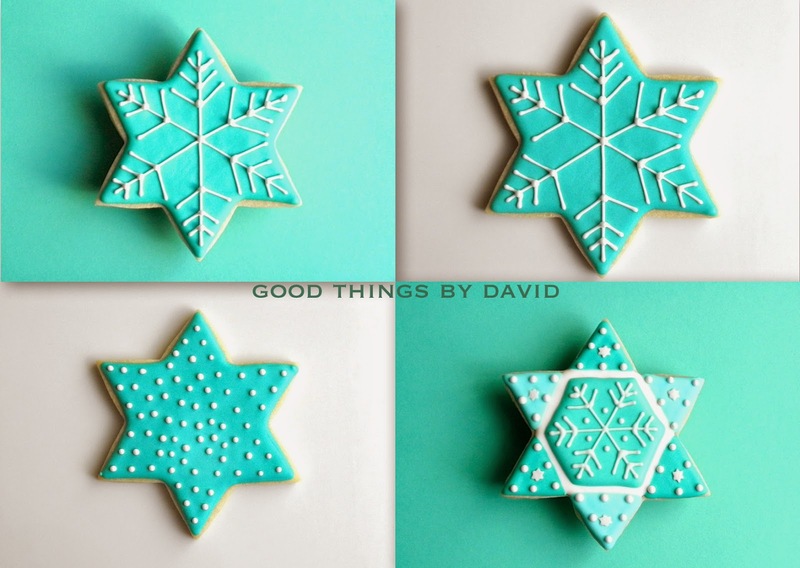 Using pale aqua and teals, I created dotted Stars of David Cookies and Stars of David Snowflakes. With the techniques I've detailed, above, let your imagination create memorable designs. These designs are gorgeous! I'm not very talented at decorating, but this makes me want to try! These are beautiful! Love the designs. Thank you Lora & Alexis! 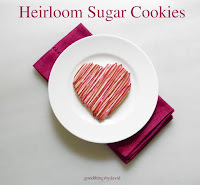 I hope you try making a few of these cookies soon.